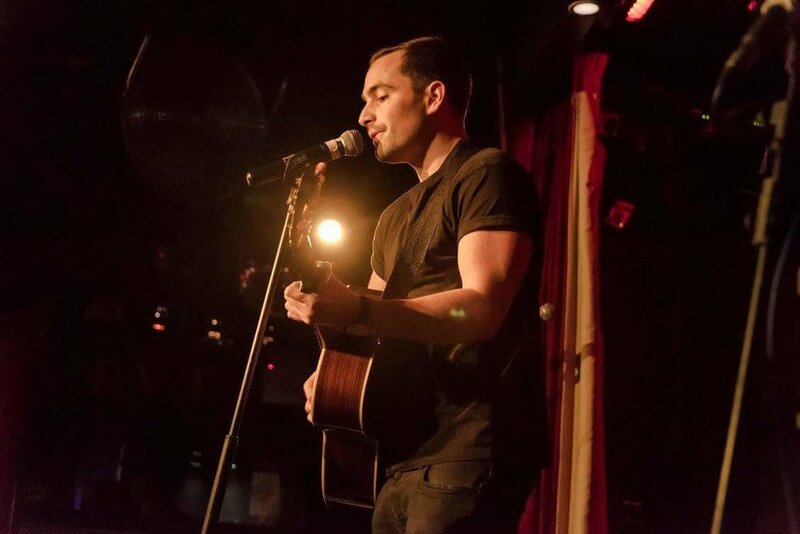 Alex is from the UK and sings lyrically beautiful songs that are catchy and romantic. I’m Alex Softley and I’m an acoustic indie pop singer-songwriter from South London. What do you love about songwriting? I remember when I was 12 years old I was bored of singing other people’s songs so I bought a guitar so I could try to write my own songs and I’ve loved writing ever since. I always start with the melody and then the lyrics follow. For me writing lyrics is the best way to express how I’m feeling whether it’s good or bad. I love to get the crowd involved and a successful gig is when I can get everyone singing along with me. There’s no better feeling than the crowd singing your song back to you. Those are the moments you never forget as a musician. I was playing a local gig at a packed Brixton Jamm in London supporting Billy Lunn from The Subways and the gig went really well so I got a bit excited and had a few too many beers. I ended up inviting everyone at the gig back to my flat for a party. The party was still going strong gone 5am. The neighbours weren’t happy. I get inspiration from lots of different musicians/genres but you may not be able to hear it in my music. Growing up my parents were always listening to bands like Stone Roses and Radiohead in the car so they’ve always been a big influence. When I was a teenager I was really into Jimmy Eat World and Death Cab for Cutie. More recently I get inspiration from people like Frank Turner, passenger, Nizlopi, and Bears Den to name a few. What inspired your latest single "Walk by the Riverside"? ‘Walk by the Riverside’ was inspired by a past experience. It’s about getting through heartbreak and meeting someone new that makes you feel excited again but not being able to put your guard down. If you could meet any music legend who would that be? It has to be Liam Gallagher! He’s an incredible singer with unbelievable stage presence. I also find his interviews hilarious. Supersonic is my favourite film documentary and I would definitely recommend watching it.